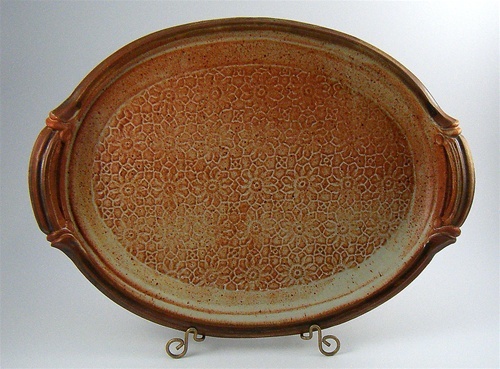 Buy American Made Pottery made by Phoenix Pottery. 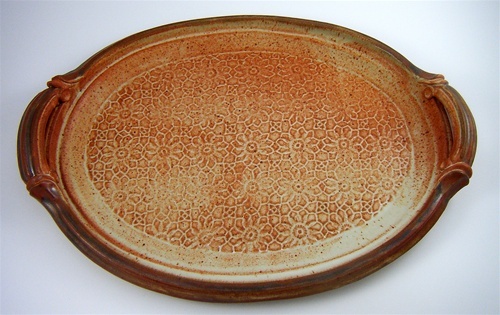 This Large Platter made by Phoenix Pottery, is offered exclusively by American Made Pottery. Here you can order unique American Made Pottery made by Phoenix Pottery, with our fast, safe, and secure website. Each piece of Phoenix Pottery's handmade beautiful and functional pottery, is truly one in it's own. Phoenix Pottery pieces have limited supply quantities, Order now to reserve your favorite piece before it's gone!